Part of our "Sacramental Expressions" collection. 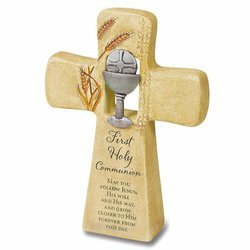 Sitter-style cross is crafted of resin and features a symbolic chalice motif and etched sentiment. 5" x 7" x 1 1/2".